How did we get here? A two and a half year old. A school boy. 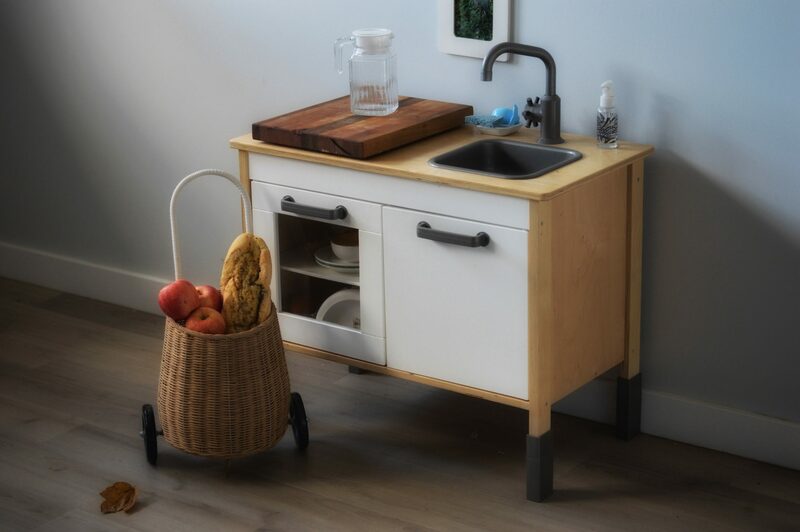 With Quentin in Montessori school during the week, I am even more aware of the fact that I want his home materials to compliment, not compete with his school day. I don’t have time to pull together themes, these activities are simply based on my observations of him and my knowledge of his stage of development. Bottom shelf: vocabulary matching cards (currently veggies), colour cards, sandpaper numbers & letters books, threading beads. These activities are not used every day. It is more often that he will choose one to work with for a period of time before his bedtime routine. On the weekends he will use more. I like to leave the materials out for a good long time to make sure that he’s really been able to get a chance to use them. We also have some quiet “open ended” toys out. The wooden train set gets regular use. There is a basket of blocks, and some accurate construction vehicles that he uses often. A tub of musical instruments gets us dancing around the line. 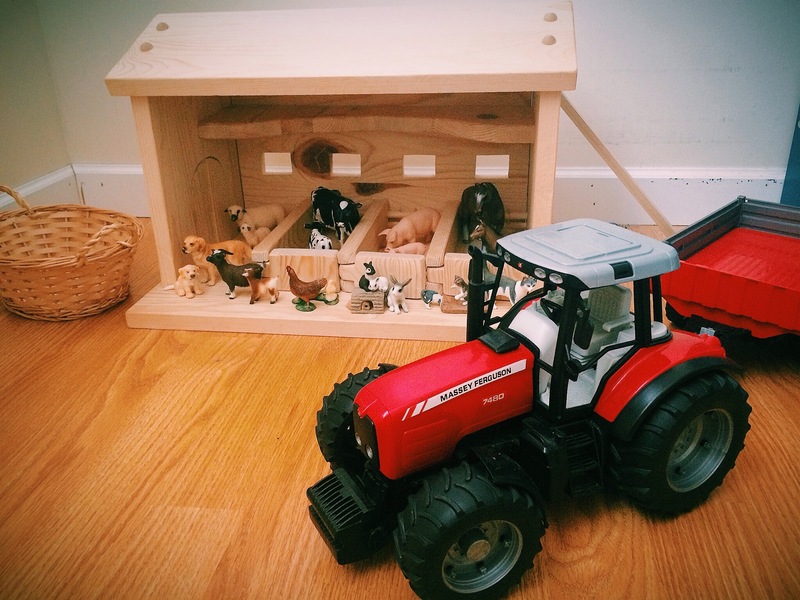 His barn is a favourite and the only toy in his bedroom. My Montessori storage cupboard needs a good clean out and overhaul. It seems he has just gone through a large change in ability and many activities are no longer right for him. 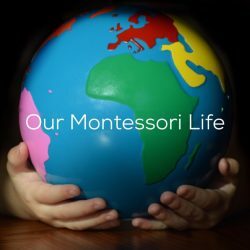 I’m trying to come up with ideas of how to hand things down to other Montessori families. If anyone has ideas I’d love to hear them. It’s hard to believe he is growing up this quickly. Love it! My little guy is 2 1/2 too. He is normally at a Montessori school part-time, except that we are currently traveling. I have the say challenge – to made make our shelf-work the same as at school. The teachers specifically asked that we have different activities so that school is new and interesting. Your ideas are great! 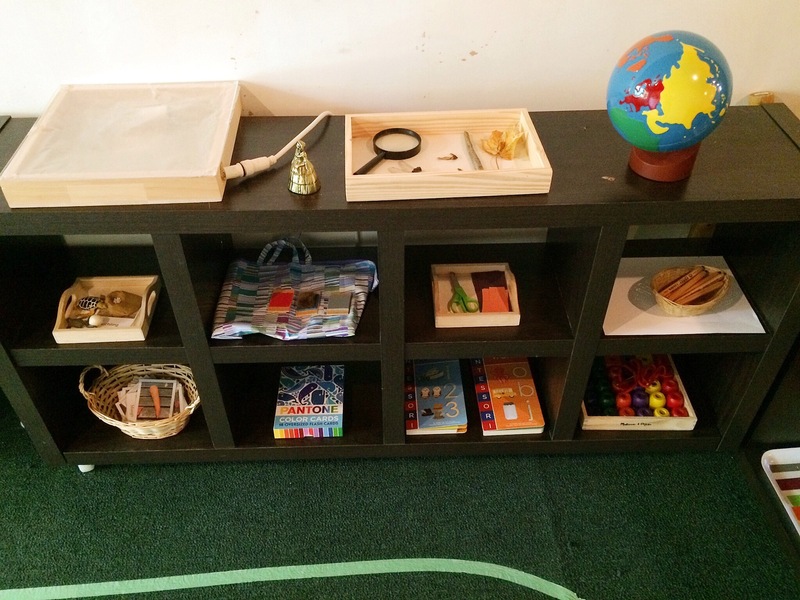 Many Montessori teachers advocate for different home materials for that same reason. It makes sense. I wouldn’t want my home to look like my workplace. Enjoy your travels! I am definitely being bitten by the travel bug at the moment. It happens every year as summer leaves and winter settles in. Love your choices! I’m also a casa teacher – with a little one on the way. Would love to be a recipient for your younger materials. Maybe email me and we can talk about pricing? I’m in Canada, north of Toronto. Love your blog! Hi Ren! I’m from the Peterborough area, and oh how I miss it. Email me at beth.wood@live.com with what you are looking for. I have a post on the infant materials we used with Quentin. Thank you for the inspiration! I feel it is such a relief not to have to prepare lessons/activities for Sixtine. I know she is getting everything she needs in this department (including – expensive – material). Like you, I just observe her and offer activities depending on interest without stress. I love it!